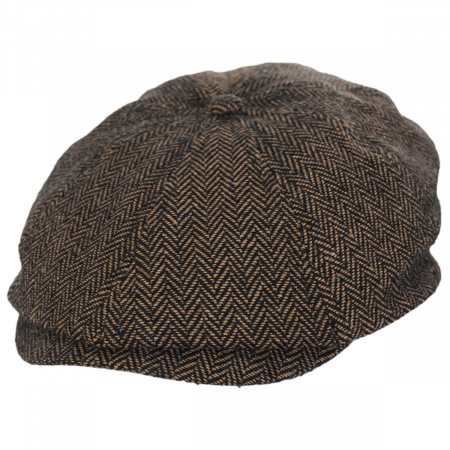 The Jaxon Marl Tweed Newsboy is a stunning 8/4 (eight-quarter) cap featuring a timeless marled tweed pattern in either black or brown. 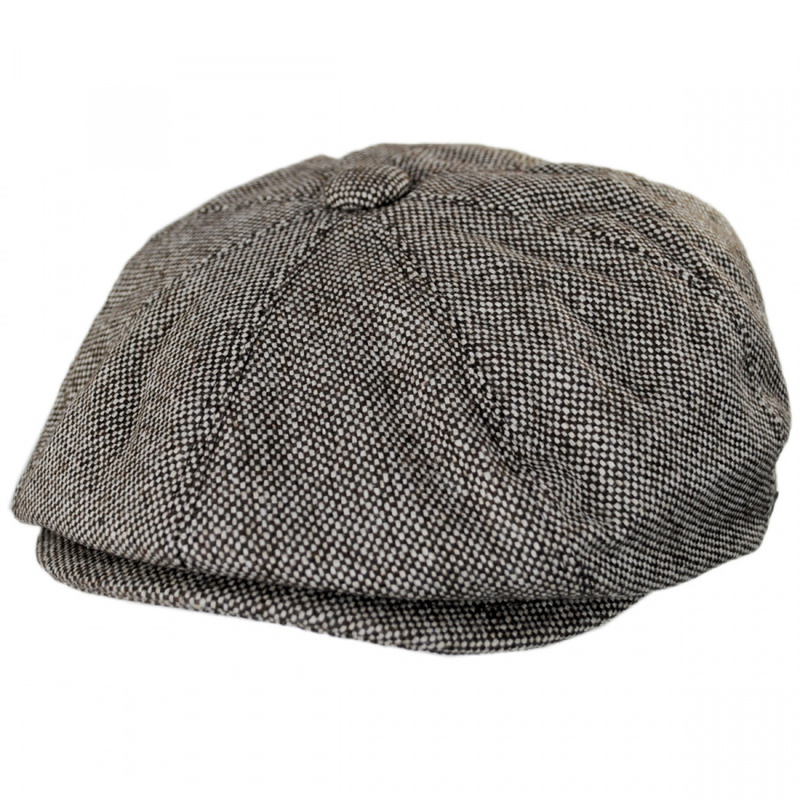 Finished with a lightweight satin lining and a removable Jaxon side pin, the Jaxon Marl Tweed Newsboy will have you looking sharp at a fraction of the price of other brands. Just an awesome company to buy hats from overall! Seriously, I have found a new home and plan to purchase more hats in the not too distant future. Thank you!!! Love the hat. Sizing info was spot on. 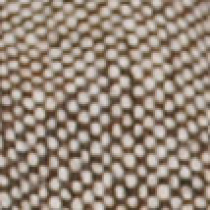 Great material and looks good too! I was looking for a new newsboy style cap for years. Found this beauty and I couldn't be happier. Fits perfect. Looks great. Order was received in a timely manner quality of the product is exceptional very very satisfied thank you village hat shop! Although its sizing runs a bit large, this is a nice cap with a few potential defects (irregular sewing, some loose threads, etc). 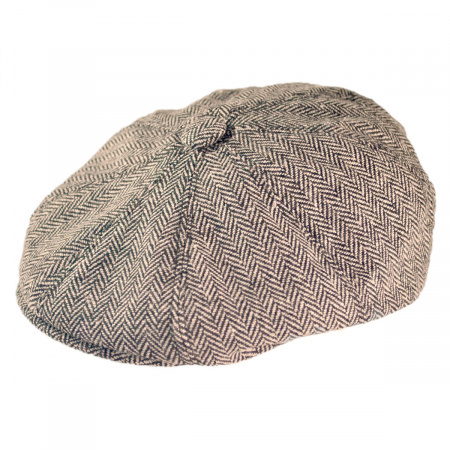 Nothing that detracts too much from the overall quality of this relatively lightweight, relatively big newsboy cap. It was purchased for a party and was perfect for it. Great quality too. I'll have to find other reasons to wear it as I am not a "hat person"
Fantastic service and a great hat. Looks great on my husband. I am so happy to have found this outlet. The quality was better than good and I will be a return Customer. I used the sizing tool online. This is the first hat I have ever purchased that actually fits right! LOVE IT! Very nice cap for the money. Perfect fit. Had been looking for a "news boy" like this one for a while. Easy ordering process and shipped as promised! Can't go wrong with VHS!! My daughter absolutely loves this hat. I like this style of cap, but I have a large head. The XXL's fit perfect. Excellent hat for the price. I have a large head and it's always hard to find one the will fit me. Your XXL's are perfect. The hat came fast, I ordered about a week and a half before Christmas and it came so fast and I was very happy with it. My boyfriend has a big head and it fit him great! It is hard to find 2XL hats! Great price too! This is the third hat I've ordered from Village Hats and my husband is just as pleased with this one as he was with the other two. They are beautifully made and have consistently surpassed our expectations. We will definitely continue to order from here! I have purchased numerous hats, mostly the Newsboy Caps, some beanies for myself and daughter and of course starting my Fedora collection again. Can you believe some rotten individual loved my hat more than me....so he took it!! 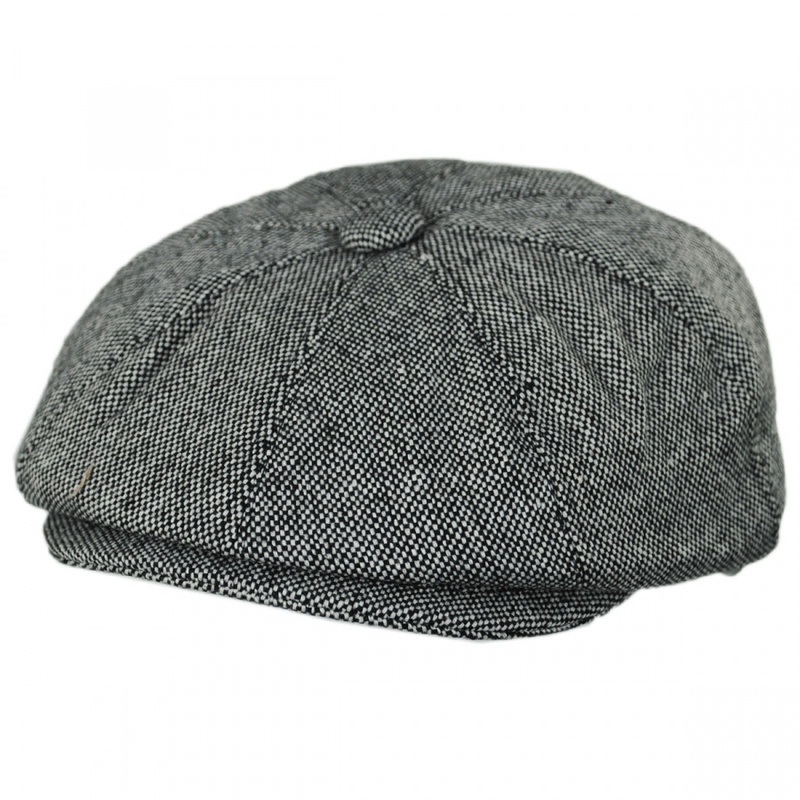 So here I am replacing my Marl Tweed Newsboy Cap AGAIN. So do I love these hats....VERY MUCH!!! This cap looks good and is comfortable and just warm enough. The hat is nicely made and fits like a glove (or rather, a hat) The sizing method on the site works quite accurately. I'm pleased and will keep the V.H.S. in mind for my next hat. The selection is really extensive. My wife said "Don't you have one like that?" I have a similar cap from Ireland of sturdy Irish tweed woven from sturdy Irish wool from sturdy Irish sheep that is just way too sturdy for much of the year here in the US South. I know Jaxon quality from several previous purchases, and when free shipping combined with your great price I just had to jump. I'm wearing this one pretty regularly now, and will throughout the summer. Well made, light and comfy, and just the look I (and my wife) like. A good friend from Philly calls this hat a "Jeff" and long ago introduced me to the style. He has lamented for quite some time that he is 'Jeff-less' which is unusual for him! And so I searched and searched and found the PRECISE thing....at Jaxon Hats! Bought one. Mailed it to him....he is blissful! The hat was perfect and the entire transaction was like my ex-, 'quick, cheap, and easy!' Thanks, Jaxon!!! Excellent Value and Great Hat. Hat fits great feels good on me and looks good too. Great Price. 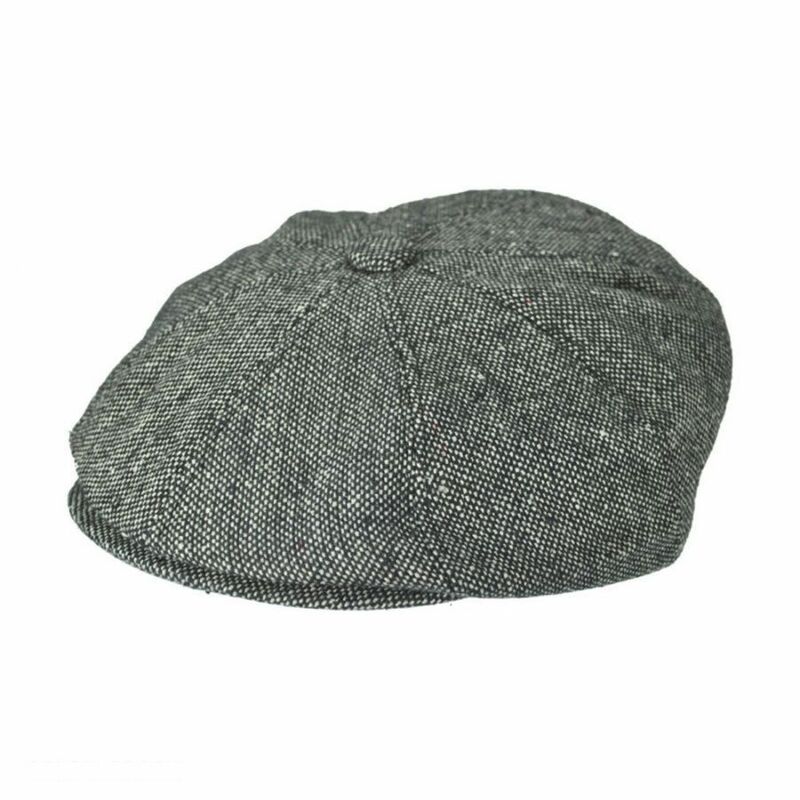 Marl tweed newsboy cap. I really like this hat and it flops just as I like. I wear the cap all winter, My hood on my coat goes right over the hat and keeps my noggin warm during these New Hampshire blizzards. I usually cannot find hats in my size, but this hat fits GREAT. Also, several woman have complimented me on this hat. Excellent service. Received my order quickly and is just what I've been looking for. Thank you. This is a great hat. Very stylish. I get compliments every time I wear it. The color is exquisite, and the quality is overall very good. Very glad I bought from here. I just received my hat. I LOVE IT! It is comfortable and it fits perfect. I will definitely be going to villagehatshop.com for future hats I buy. I love it. It is the best birthday gift I received by far, but I will be ordering many more in the near future. 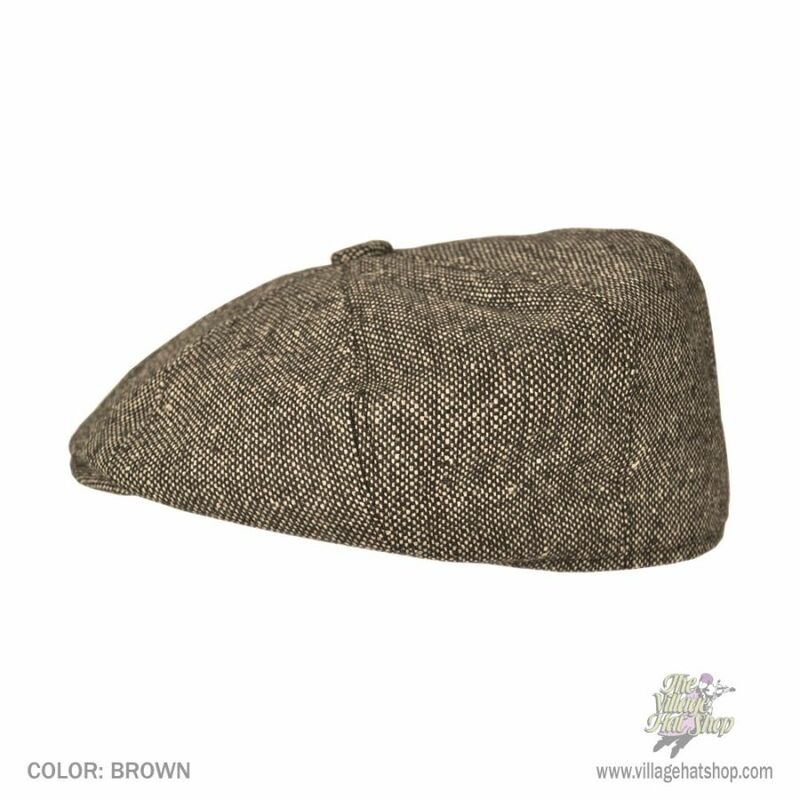 I have been looking for a traditional newsboy cap when I come across this Tweed Jaxon at Village Hat Shop. Partially due to the low price I bought one not expecting much. I was wrong....it is a quality made, great fitting cap which looks great and is comfortable to wear. I have since ordered 2 other Jaxons. got it faster than I thought and the hat is just wonderful. This hat is quite nice to look at and I really like how it looks on my head. I knew about the ear flaps when I ordered it, but I didn't realize it reduced the size as much as it did. I ordered a large, and with the ear flaps down, it's a comfortable fit. But with the ear flaps up, it's very snug. I knew the ear flaps would be novel, especially when riding in my roadster in the late fall and early spring. But they do hinder the rest of the time. Still, it's a really nice hat, and I love the way it looks. It will be the only ear flap hat in my collection. Excellent, the order arrived quickly, my hats fit perfectly and they are exactly what I wanted. my whole experience was excellent. great company ..great product ..I am very impressed..thanx for my order being prompt and exact! 2nd hat I've ordered. Another great buy. Super speedy shipping. 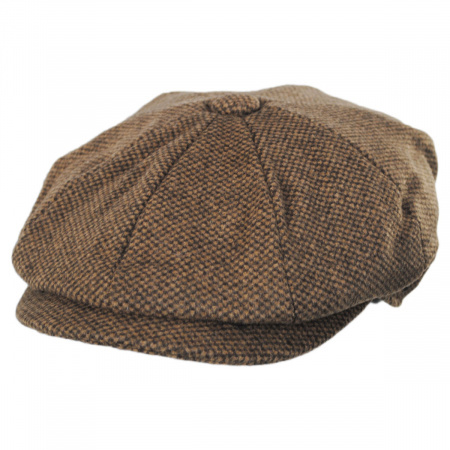 Aside from the good price and quick delivery, the newsboy cap is wonderful. Most I have seen have elastic in the back. This one is just well-constructed to fit. I will be buying another one. I ordered the tweed newsboys cap. It came quickly and was the right color and size. The cap is not heavy or overly warm which is what I wanted since I want to use it most of the year. Actually I ordered it based on someones complaint that it was not as warm and thick as they had hoped. 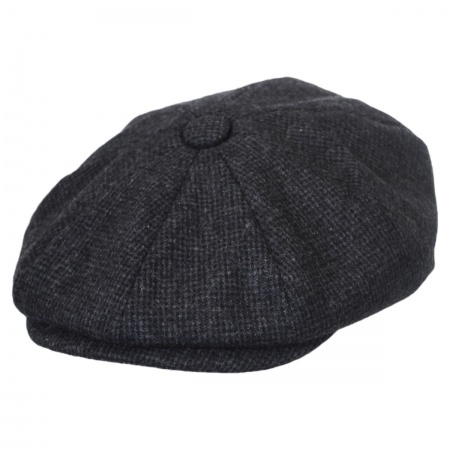 I bought a MEDIUM size newsboy cap as a young man, but it hasn't fit for many years because my head got a little bigger as I aged, so I ordered a LARGE. It fit pretty loosely because my head size was on the low end of the range covered by size LARGE. Luckily my wife has some seamstress skills and was able to sew a thicker hat band on the inside. 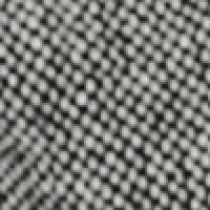 Whatever happened to fractional sizing? It fits fine now, but not everyone has a talented seamstress to call upon. Other than the sizing problem, I couldn't be happier with the quality and look of this cap! Appearance is just what it looked like in image on line. Great feel and look. Very happy with this hat. I had a cap like this when I was younger and wore it out. This one fits just right and looks great. The biggest surprise is the many compliments I've received. I'll be back for another color soon. Great quality, stylish, warm and comfortable! Very happy with purchase - Thanks VH! Excellent quality, not too wide, fit and feels good. Loved it! It fits my huge head . I bought the caps on special...2 for one low price; and they were great for the price! ""However"" ... I had placed an order prior to this order and I have to say the hats were more $$$ - still reasonable - but my son liked the caps that were more expensive that I had bought for his DAD!!! : ) Went to place an order today for same hats but right now, they are priced ""higher"" than when I originally ordered before! Will be patient and wait until they go on sale again!!! : ) Customer service is excellent! Shipping is expedient! Love doing business with the Village Hat Shop! Thanks. This little cap is great. It fits well, looks great and is very well made. I was a little worried that it would not be of good quality. It is great. Perfect fit, exactly what I wanted. Instant favorite. Almost identical to the hat I ""borrowed"" from my Dad in 1969. He purchased in England in about 1953. This is a little lighter weight to the fabric but the other lasted in decent shape until about 1985(still have it). Over 30 years!. I hope this one will last at least 10 years.It is very comfortable. 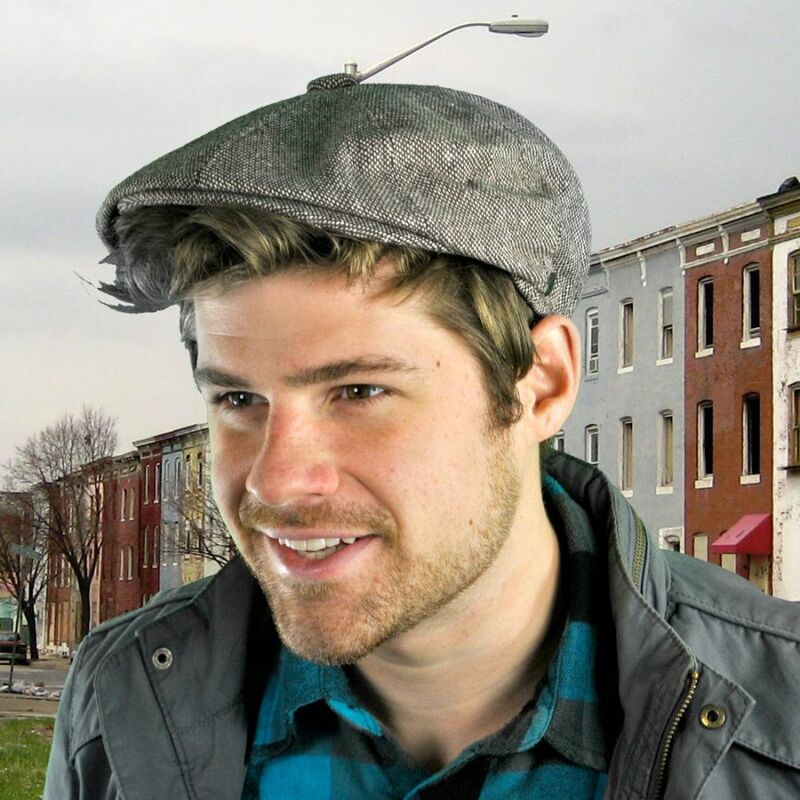 Lived in the Philly area all my life wore a hat like this for years had a couple look alikes but not the same, till I found Village Hat Shop ordered this hat, speedy service and great hat just like the one I wore for 20 years, my wife had flash backs to our younger days when I put it on. Thank You I know I will order from you again. 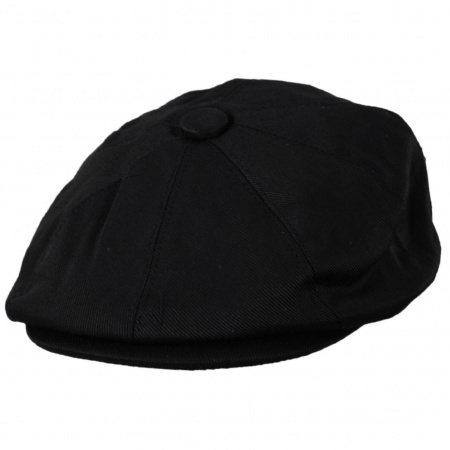 Sporty, medium-light weight attractive cap at a great price. Speedy shipment. Very satisfied with this purchase. was the shape i wanted but thats about it. it was a little big, a little thin for a winter cap. if i hadnt lost the receipt, i wouldve sent it back.not bad for the price though, i guess.